April 18, 2017, 12:32 p.m. The Providence Journal has found ways to cooperate with — and benefit from — the successful true-crime podcast. By Ken Doctor @kdoctor April 18, 2017, 12:32 p.m. Buddy Cianci once sold newspapers. Now he sells podcasts. That link — surfaced gloriously in Gimlet Media’s Crimetown podcast — tells us lots about the rollicking pace of change in newsy digital media. And Crimetown seems like a prototype of a new phenomenon too young to name. Listen for just a few minutes, beyond Crimetown’s unending assortment of wiseguys, mooks, capos, made guys, and friends of the family, and you can hear a new local media format being born. To be sure, Crimetown offers nationwide appeal, currently ringing up 3 million downloads a month. (By the end of its first season, coming too soon on May 7, it will have generated more than 16 million downloads.) But it’s the show’s ring of local authenticity that distinguishes it among the growing roster of must-listen podcasts. Crimetown offers a great sense of place — and it is deeply rooted in the city’s journalism, and in how that journalism has given the city a sense of itself. “Welcome to Providence, Rhode Island, where organized crime and corruption infected every aspect of public life,” the podcast invites. There, in episode 1, we’re reminded of Cianci, the boy mayor of Providence, whose story played out on the national political stage, and led to a political career with some similarities to Angelo Errichetti, the Camden mayor who inspired the Jeremy Renner character at the heart of American Hustle. Cianci reappears throughout the series, and it’s his political dance with Raymond Patriarcha, the mob boss of New England from the 1950s into the 1980s, that gives structure to the insanely enjoyable storytelling. If you listen to Crimetown, you hear frequent mentions of the Providence Journal, the Providence city archives, and the the Rhode Island Historical Society. Collectively, they provided lots of the raw material Crimetown creators Marc Smerling and Zac-Stuart Pontier based their show on. Crimetown listeners have heard a shoutout to Journal reporter Bill Malinowski in each episode. It was Malinowski, a 30-year Journal veteran who passed away last year, and reporter Wayne Miller who were the linchpins in connecting the Journal to the podcasters. “The Journal has a rich history of very high quality investigative work,” says Smerling. “Through a law enforcement contact in Providence, we met Bill Malinowski…He helped us develop sources.” Former Providence Journal reporters Mike Stanton, Dan Barry, and current reporter, Wayne Miller, have also been important to the podcast. “Having access to the archives seemed like a natural and was a great research tool. And we wanted photos for the website,” Smerling says. While the photo, story, and recordings archive proved indispensable, the Journal deserves credit for doing more than provide assistance in the background. Once the editors heard the first episode, they decided to write a review of each episode. “We do a gallery each time there is a Crimetown episode, and it gets 10,000 to 20,000 pageviews,” says managing editor Alan Rosenberg, a 39-year-veteran of the Journal. 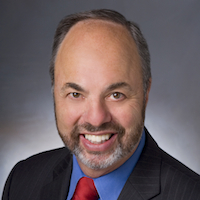 Just last week, the Journal announced that Rosenberg would succeed top editor Dave Butler, the longtime Mercury News, Detroit News, L.A. News Group, and MediaNews top editor. Butler had come to town soon after Belo sold off the paper to GateHouse Media in 2014. The Crimetown page generates 5,000 to 10,000 pageviews a week, and the Journal also embeds a Soundcloud player so Journal listeners can directly listen to Crimetown. “We looked at the track record of Smerling and his associates and with what they were planning to do here, it seemed irresistible,” says Rosenberg. “The irresistibility lay in the fact that we know that our readers are really interested in organized crime and its history in Rhode Island. We’ve written about this forever. No money changes hands between the newspaper and the podcasters — but lots of learning does. On a national level, newsy podcasting has seen its own renaissance over the past year. Even among its many other priorities, The New York Times has invested in a podcasting team. Its launch of The Daily — its prominent spot at the top of its mobile home page tells you lots about its popularity — has propelled the Times to seventh among all U.S. podcast publishers, according to Podtrac’s (imperfect) March rankings. (The Daily, the Times tells me today, has just surpassed 20 million listens, a combination of downloads and streams.) In Podtrac’s ranking of individual shows, The Daily comes in 13th overall, following such long-established shows as This American Life, Serial, Freakonomics, and the TED Radio Hour. How well and how much could local media — newspapers, public media, and TV broadcasters — learn from Crimetown’s example and leverage their own unique local stories and histories? Can they move beyond digital products that mainly list the news headlines of the day, to offer the fuller knowledge of their cities of today — and how they came to be what they are? Crime certainly fits the bill as a podcast subject, and Smerling says he hopes that season two of Crimetown — venue as yet unannounced — can borrow from what they learned in Providence: “I hope we can develop similar relationships in other cities.” But crime stories offer only one topical area to exploit, in his judgment. Rosenberg loves what Crimetown has done for the Journal, but is hesitant to commit the paper’s own resources to podcasting, given other priorities. “We admire what they’re doing. We’re more focused on video. I’m very mindful of the large numbers of people they have committed to this project. I’m not sure we have the kind of staff power to bring to their, to replicate this project on a local level.” He believes that Facebook Live, with its local interview potential may offer more business bang for the buck. Crimetown’s just part of a big podcast category, true crime. That’s a big area of enthusiasm, as well suited to the serial (and Serial) storytelling as were the weekly features shown on Saturday afternoons in the nation’s movie theaters 60 or more years ago. Just recently, This American Life/Serial’s S-Town debuted, telling its own story of what appears to be a hushed-up, small-town Alabama murder. Then there’s Up and Vanished, Payne Lindsey’s well-received tale of a cold case Georgia murder. Police recently credited his investigative reporting as “playing a significant role” in charging a suspect in the 12-year-old case. 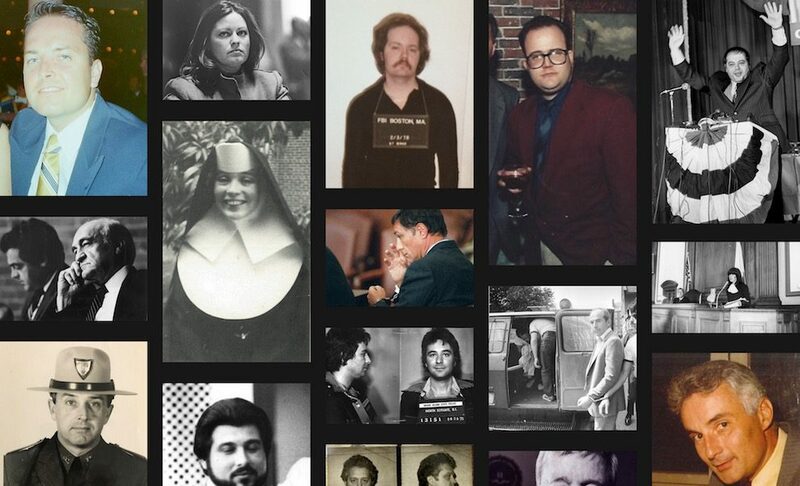 Wondery’s Sword & Scale, often picked on top true-crime podcast tip lists, borrowed its lineage from TV, as Wondery CEO Hernan Lopez brought his TV experience at Fox International to the new medium. It’s these new podcast factories, like Wondery, Gimlet and This American Life/Serial, among others (highlighted in our fall five-part series) that could prove to be good partners for news media companies and organizations willing and ready to partner. Outgoing Journal executive editor Dave Butler has seen a lot in his 46-year career. As he departs, he endorses this newest form of storytelling. POSTED April 18, 2017, 12:32 p.m. Doctor, Ken. "Newsonomics: Crimetown shows the podcast potential for local media partnership." Nieman Journalism Lab. Nieman Foundation for Journalism at Harvard, 18 Apr. 2017. Web. 25 Apr. 2019. Doctor, Ken. "Newsonomics: Crimetown shows the podcast potential for local media partnership." Nieman Journalism Lab. Last modified April 18, 2017. Accessed April 25, 2019. https://www.niemanlab.org/2017/04/newsonomics-crimetown-shows-the-podcast-potential-for-local-media-partnership/.